For all of those worrisome times where you lock yourself out of your car, Car Lockout Kitchener is available for all of your car lockout situations, at all times of the day or night. 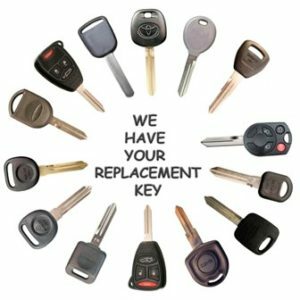 Whether you’ve locked the keys in your trunk or ignition, we have various techniques available to our Car Lockout Kitchener technicians, in order to get your car unlocked without any damage or hassle. A mobile car lockout service you can count on! We serve all types & models of cars, trucks, RVs and more! · And everything in between! When you need us, we’ll be there, 24 hrs a day – 7 days a week. All of the situations that come up in life, you won’t need to stress with our highly skilled technicians available for even emergency situations. Your car locks are in good hands. Here are Car Lockout Kitchener we are here to provide you with peace of mind, at all hours. For all of your car lockout needs, there’s only one company you need. Even in the pouring rain, we’ll be there to get you on your way. There is nothing more annoying than being locked out of your home & vehicle. We also offer master key services, door lock services, safe & lock picking services, and much more. Our professional locksmith services carry a wide selection of high security locks, key cutting services, ignition key servicing as well as emergency roadside assistance. At Car Lockout Kitchener we are always here to help you. Whether you are stuck at work, home or anywhere in between, our professional locksmiths will answer your call and be at your location within 15-20 minutes to get you on your way.